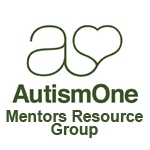 The AutismOne Mentors Resource is a place for AutismOne Mentors to communicate with one another. This will allow Mentors to work on Mentoring initiatives, preparing information and getting support they may need to be the most effective help for the AutismOne members. need help with a homeschooling family with a non verbal child. I have been contacted to help with a family in my community with a non verbal child on the spectrum. they are looking for info on the best way to homeschool as the school system does not have a good rappport with the family and the family is tired of run around. Any advise on how to work with them.